The city of Chennai, formerly known as Madras, is the capital of Tamil Nadu and one of the biggest cities in South India. Chennai is not only regarded as the safest city in India but is also known as ‘India’s health capital.’ When it comes to food, Chennai is one of the best cities in India that offers the combination of scrumptious dishes with a variety of spices and condiments. There are a lot of hotels in Chennai that are popular for offering mouth-watering food, especially South Indian food. South Indian cuisine is famous throughout the nation. 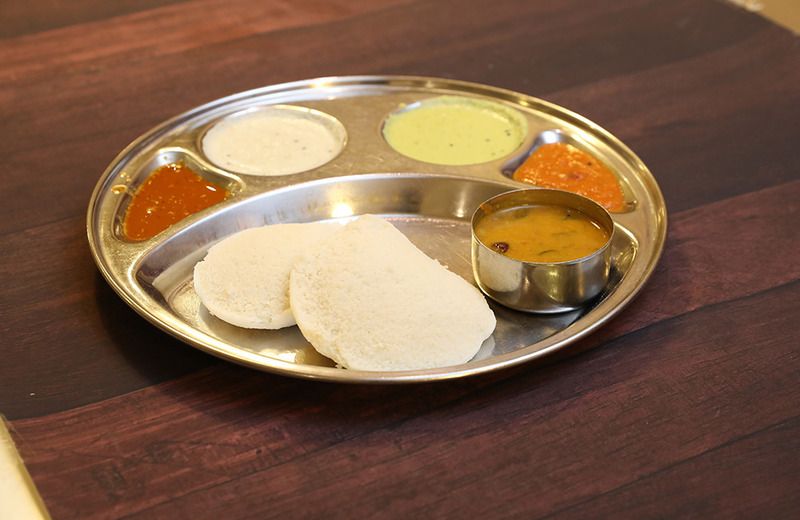 Idli and dosa in particular have become staple dishes for numerous street food vendors. However, it is interesting that the flourishing street food scene of Chennai is not occupied just by idli and dosa. 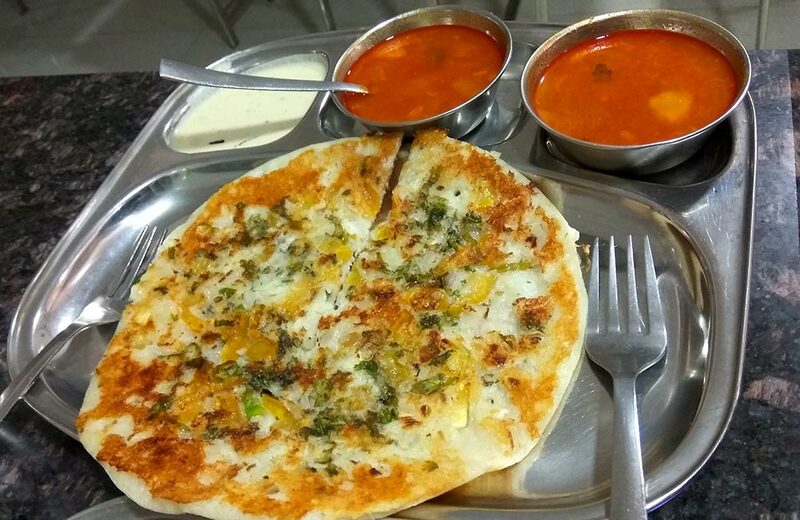 Apart from regular South Indian street food, the streets of Chennai are filled with numerous outlets that offer delicious variety of North Indian, Gujarati, and Burmese dishes. So, here are some of the most famous street foods in Chennai. Bhajji is very famous in Chennai, no not the Indian off-spinner (well, he is famous too), but the street food. 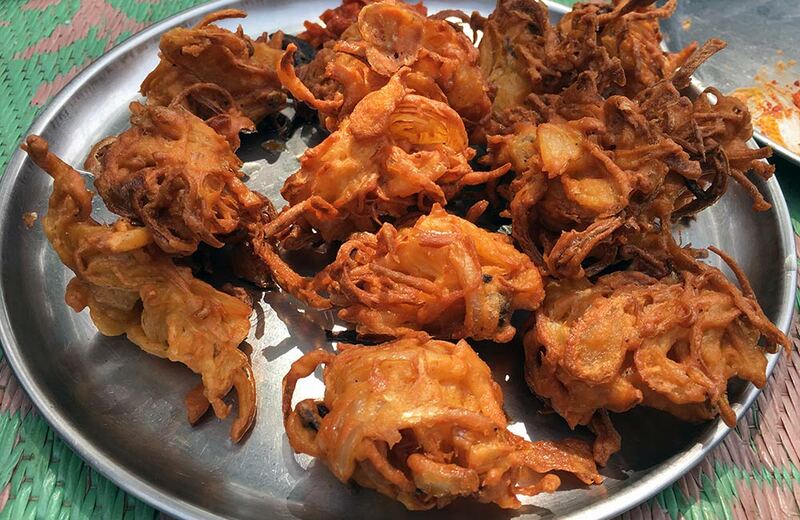 Bhajji is a South Indian version of pakora, but the taste varies enough for even North Indians to love it. Served with spicy and tangy chutney, a plate of freshly fried and spicy bhajji can be found quite easily in Chennai. Muruku is a crunchy snack made from a combination of gram and rice flour, with salt and cumin seeds mixed into the dough, then deep fried. 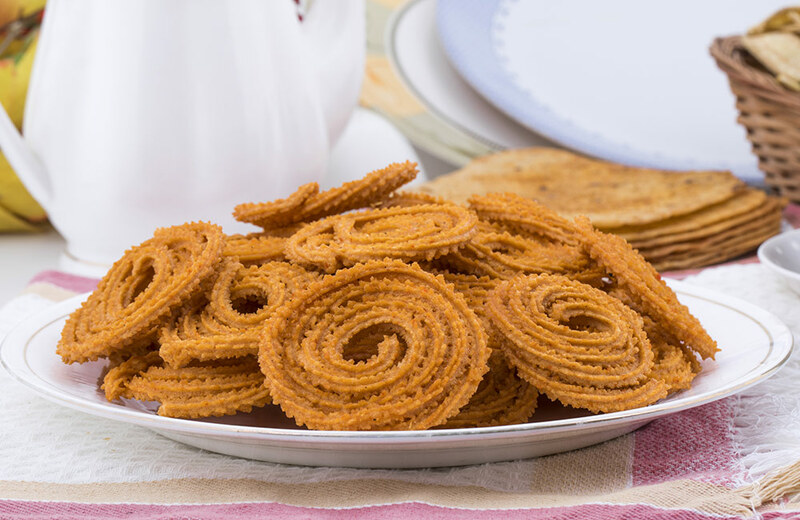 While Murukus might look like jalebi, they are salty to taste and are served with hot tea, and are very popular among the locals. However, murukus have evolved over time; several restaurants and street food places in Chennai have come up with mururku sandwich. 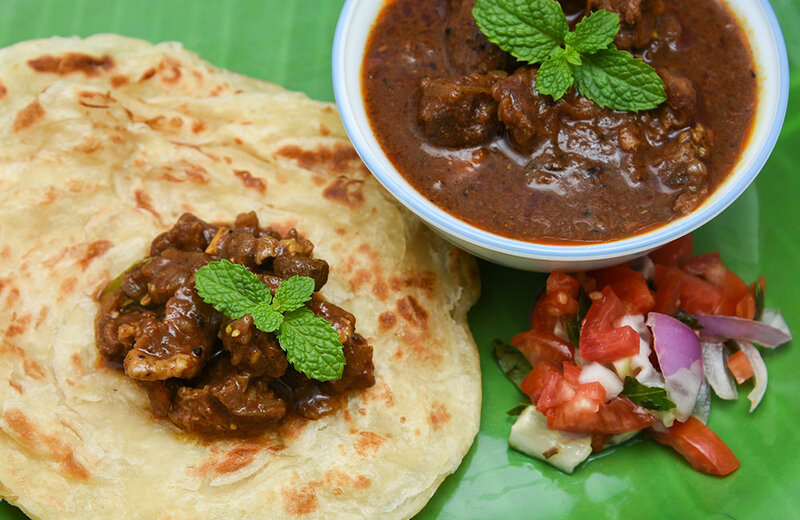 The idea is to replace bread from the traditional sandwich with muruku pieces and add the rest of the ingredients like cucumber, tomato and onion slices between them. A very popular and tasty street food in Chennai, Sundal is found at many beaches. However, the ones found at Marina Beach are considered to be the best. 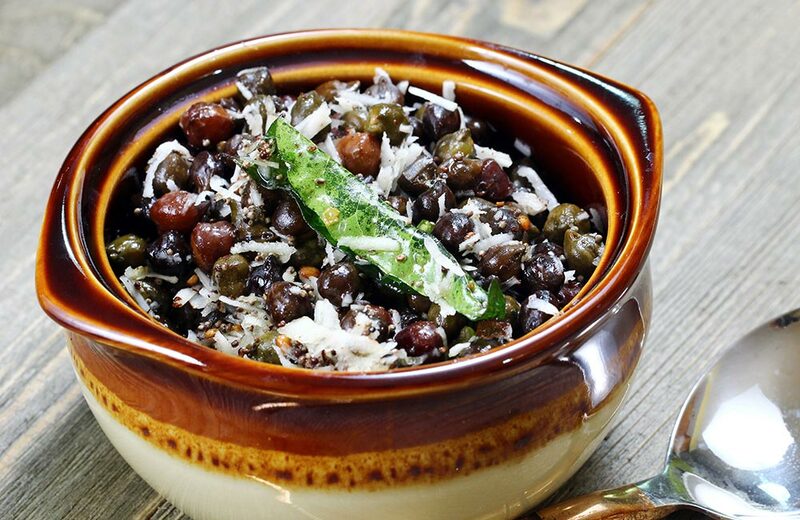 Sundal is made from boiled chickpeas mixed with onions, an assortment of spices, herbs, and topped off with shredded coconut. It is an exotic street food worthy of the exotic city. 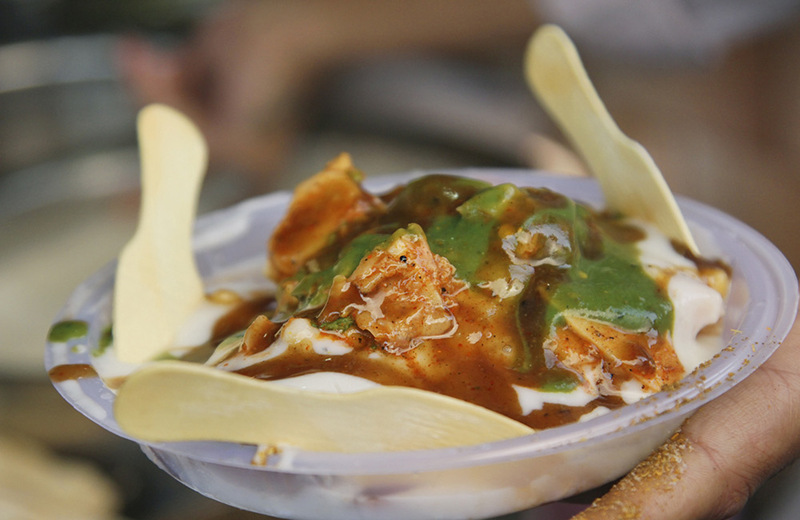 Chaat is one street food that is beloved in every part of the nation. It is savory in taste and can be found in most places being sold at roadsides. Chaat has numerous variations, each differing from the others minutely based on ingredients, taste, and appearance. 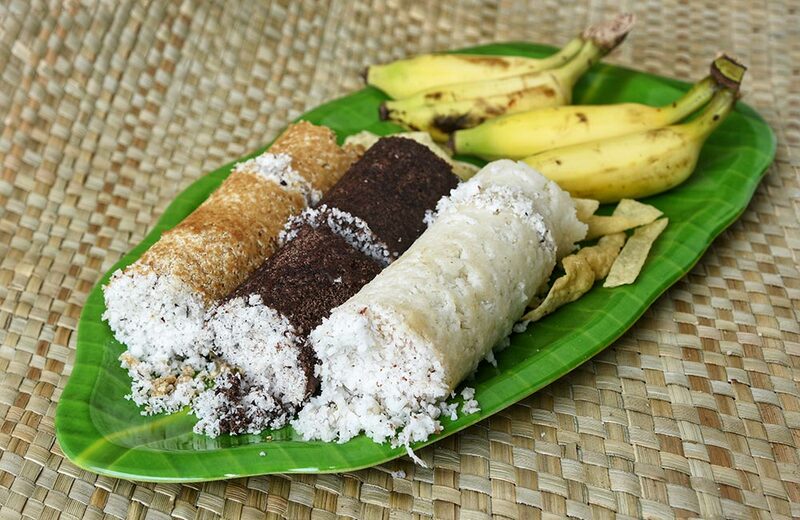 Puttu is a dish made from rice flour and coconut, and a staple for many households in Chennai. The rice flour is mixed with a few spices and then steamed in special cylinders (puttu kutti vessels). Interesting Fact – A guy named Ismail sells puttu under the North Usman Flyover. If you are wondering why the guy is famous, well, he serves puttu made from black rice. Sounds interesting, doesn’t it? Uthappam is a very popular South Indian dish not just in South India but in all parts of the nation. Even though uthappam appears like a dosa, it is thicker and has vegetables mixed in the batter, and is served with chutney or sambar. 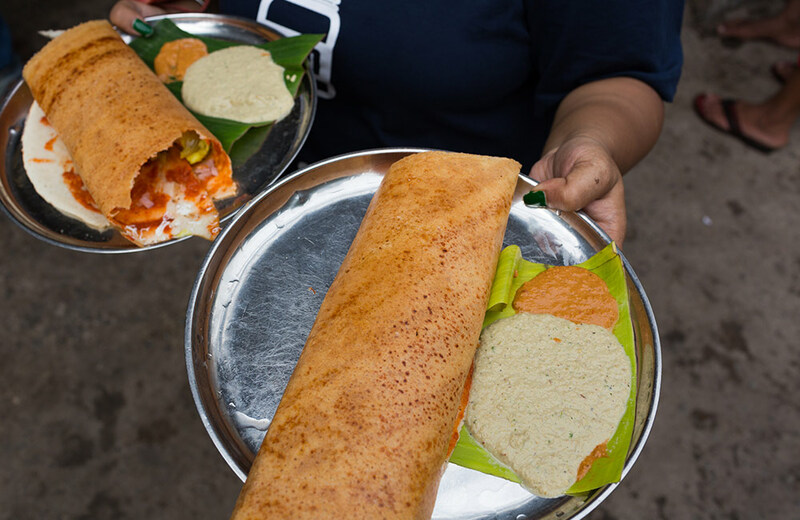 Along with idly, dosa is the most famous south Indian street food. It is best described as a pancake made of fermented rice and urad batter. There are a number of variations of dosa, but traditionally, it is served with sambar and coconut chutney, and a stuffing of potatoes. 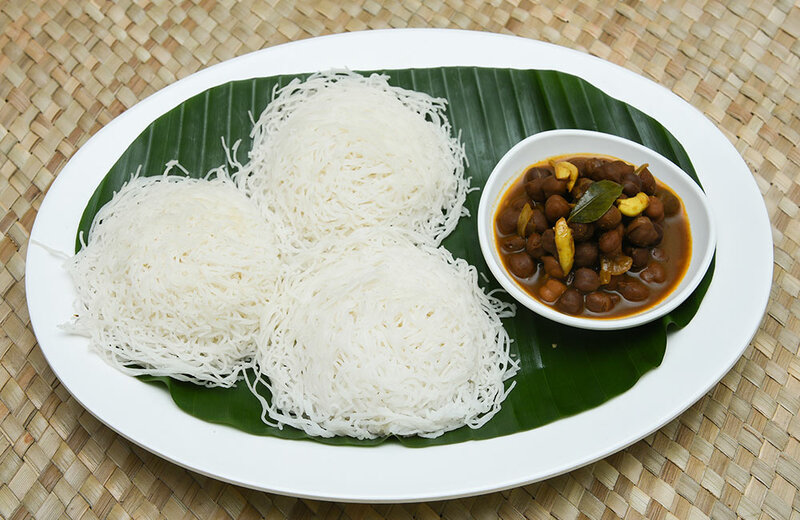 Idiyappam is a breakfast dish that is described by many as South Indian noodles. Made from rice flour, they are prepared the same way as conventional noodles but served with curry and coconut milk. A very famous non-veg street food in Chennai is the Tibetan import, thukpa. 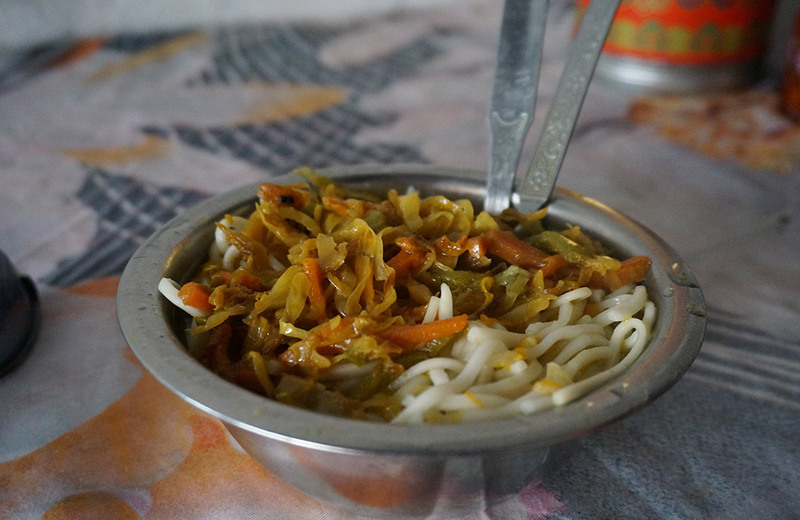 Thukpa is best described as noodle soup. The thukpa in Chennai is generally served in beef broth with a variety of vegetables and beef chunks. Athouk is a kind of Burmese salad with boiled eggs served with a traditional soup called Mohinga. 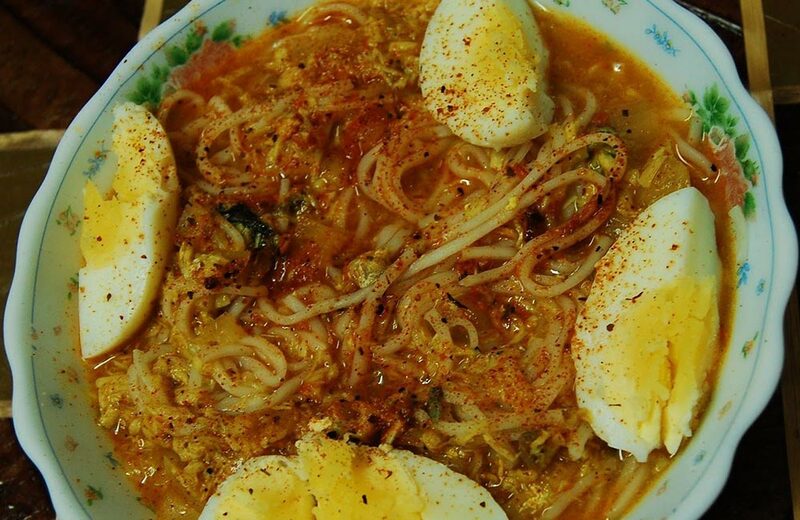 A variation of Athouk with noodles is also very popular among the locals. It is a really old recipe from the far away lands of Burma which has almost literally merged with the food culture of Chennai. Another Burmese dish famous in Chennai is Atho. Atho is essentially orange noodles mixed a multitude of spices, vegetables, and meat. While Veg Atho is also available at many places in Chennai, Egg Atho and Chicken Atho are more popular among the locals. Parotta is a flatbread made from flour and is very similar to the North Indian Laccha Parathas. 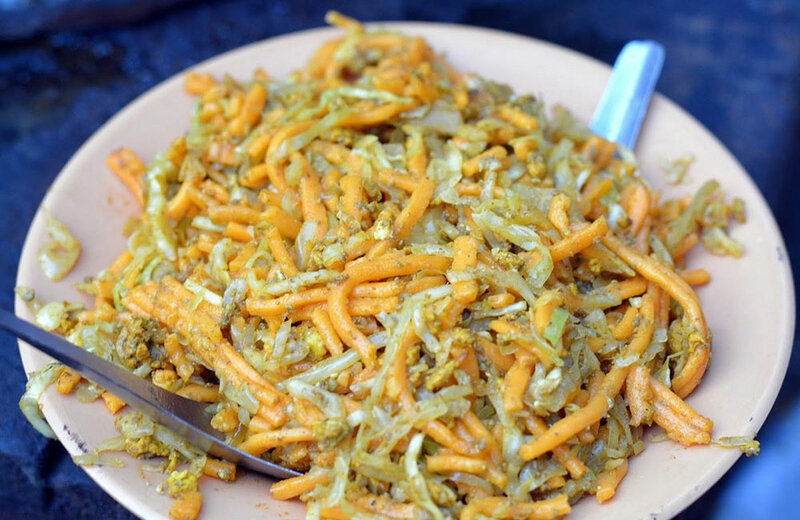 However, Kothu Parotta is basically shredded parotta. But, that is not the end of it; the shredded parotta is mixed with vegetables, egg or meat. Feeling the Urge to Grab a Bite? After going through the list, you must be feeling the urge to go out and eat. While you can go to any of the best restaurants in Chennai, you must also taste the street food that the city offers. There are a lot of shops and stalls in Chennai that offer street food of various styles and regions. So, the next time you are visiting any of the shopping malls in Chennai, grab some delicious and cheap street food on the way. If you are in Chennai, you should check out our comprehensive list of museums in Chennai. But if you are not one for staying indoors, and fancy yourself as an explorer and adventurer, then check out hill stations near Chennai and waterfalls in Chennai. If you are looking for a memorable place to share with your ‘special someone’ then look through our list of the best romantic places in Chennai.